Please join the University of Canterbury Basketball Club at their UC Basketball Social 3×3 We Are One fundraiser tournament, hosted by the UC Recreation Centre. 100% of entry fees and donations on the day will go towards the official givealittle fundraising page. The emphasis of the day is to have fun sharing the love of basketball, banding together and playing together. The event is being run in partnership with our friends at UC Rec & Sport. The 3×3 format is short and fast and we are hoping to fill the 32 team spots quickly. All UC Students are encouraged to form teams – all levels of basketball encouraged. Each team will play three 10-minute games (and a final if they qualify). The entry is $5 per player, with four or five players per team. 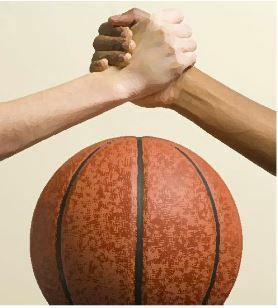 A maximum of two weekend club basketball players can participate in each team. Entries are strictly limited. There will be both Women’s and Men’s divisions. We are fortunate to have a ton of friendly volunteers from the UC Basketball club who want to see you there. Come on down and support your team!